If you have a miniature manger in your home today, or if you’ve heard a piece of music in the mall with “Bethlehem” in it, I — as a Palestinian Christian in whose life Bethlehem has played a big role — have a favor to ask you: Please go to your computer and do a search using these words: “Bethlehem Christmas wall.” Check out some of the articles and the images. If your curiosity is piqued, go a bit further and check out the images for “al Masara village,” or “al Walaja village,” two tiny villages near Bethlehem. I think this is an important exercise for anyone who has formed a mental image of the Little Town of Bethlehem during this holiday season. Today, Bethlehem and the surrounding areas still have some of the holiest churches of Christianity, and they still vibrate with the prayers and celebrations of Palestinian Christians. But the Palestinians of Bethlehem, Christians and Muslims alike, are a people besieged. For Bethlehem today is surrounded by a host of physical barriers, including several miles of a concrete wall that is over 20 feet high, built by the Israeli occupation authorities. This wall — deemed illegal by the International Court of Justice in 2004 — separates the Palestinians of the Bethlehem area from huge swaths of their land. Much of that land has been taken from them to build Jewish-only settlements that are also illegal under international law. These Jewish settlements surround the Palestinian communities of the Bethlehem area, hemming them into a limited geographic area, like a tiny Bantustan, isolating them from occupied East Jerusalem, the economic, cultural, and spiritual heart of Palestinian life. Just this week, the Israeli government announced that it had approved plans for new construction in the nascent settlement of Givat Hamatos, which lies between East Jerusalem and Bethlehem, a move swiftly condemned by European diplomats as a “game changer” that could end the possibility of creating a Palestinian state with East Jerusalem as its capital. I was born and raised in East Jerusalem. For many years before I emigrated to the U.S., I accompanied my father, a devout Christian, on his annual walk from Jerusalem to Bethlehem. Back in the late 1930s, he made a vow to make the five-mile journey by foot every New Year’s Eve. If I were to do the same thing today, I would be confronted by a wall that’s higher than, and as ugly as, the Berlin Wall, just a few minutes after departing. For the people of Bethlehem, the wall is far worse, because few of them are allowed beyond it to visit their holy sites in occupied East Jerusalem. The images that you’ll see from my suggested web search are the reality of Bethlehem today. In your search, you might also see images of Palestinians involved in a non-violent struggle against the demeaning and pauperizing conditions of Israel’s 45-year-old military occupation and colonization of their land. The leaders of the non-violent Palestinian resistance against the wall in the villages of Masara and Walaja will often mention Gandhi and Martin Luther King in their discourse. These two leaders practiced very confrontational resistance, not the passive resistance that is associated with Jesus. But Gandhi and MLK never preached hatred against their oppressors, and today, the people of Bethlehem, Masara and Walaja welcome Israeli Jews who stand shoulder to shoulder with them in opposing the injustices of the occupation. The reality of Bethlehem today has a great deal more to do with the message of the man that Christians refer to as the “Prince of Peace” than the Disney-like images of Bethlehem we see in our shopping malls. Jesus actually lived under an oppressive Roman occupation of his country. He identified the most with the poor and oppressed, and he preached equality between Jews — his own people, Samaritans and Gentiles. During this Christmas season, spare a thought and a prayer for Palestinians, including Palestinian Christians, who continue to struggle against injustice and oppression in the name of freedom, equality, and peace. Tags: bethlehem, israel and palestine, israel and palestine conflict, palestinian occupation. Filed under Israel and Palestine, israel and palestine articles, israel and palestine conflict, map of israel and palestine by Father Dave on Dec 21st, 2012. Comment. Mahmoud Abbas meets with the Pope! Abu Mazen’s status on the world stage seems to be sky-rocketing! He has had an audience with the Pope! What next – the Queen of England perhaps? Certainly it is a good thing to see Christians standing in solidarity with their Palestinian brethren when so much of the Western church seems to hold them in contempt. Let’s hope though that these diplomatic gestures will achieve something concrete. VATICAN CITY (CNS) — Just weeks after the Vatican praised Palestine’s boosted status as a non-member observer state at the United Nations, Pope Benedict XVI met with Palestinian President Mahmoud Abbas in a private audience at the Vatican. During the “cordial” talks in the papal library Dec. 17, the two men discussed the need to restart talks between Israelis and Palestinians in a way that respects the rights of all parties involved, said a statement from the Vatican press office. In discussions about the U.N. vote last month, the Vatican said it was hoped Palestine’s new U.N. status “will encourage the commitment of the international community to finding a fair and lasting solution to the Israeli-Palestinian conflict, which may be reached only by resuming negotiations between the parties, in good faith and according due respect to the rights of both,” the statement said. The two leaders also talked about the broader situation in the Middle East, which is “troubled by numerous conflicts,” and expressed hopes that “the courage for reconciliation and peace will be found,” the Vatican statement said. The contribution Christian communities can offer in promoting the common good for the territories and the whole region was also discussed, it said. As Abbas arrived, the pope greeted him in English, saying, “Welcome, it’s good to see you.” The president replied, “I’m very glad to see you here again.” Abbas had met with the pope at the Vatican in June 2011. The pope and Abbas spoke privately for 25 minutes before the president introduced his eight-man delegation. The pope gave Abbas a painting of the fountains in the Vatican gardens. Abbas, who is president of the Palestinian National Authority, gave the pope a picture of Jerusalem’s Church of the Holy Sepulcher, traditionally believed to be the site of Jesus’ crucifixion, burial and resurrection. The artwork, made up of large painted tiles, had an inscription — in English and Arabic — that said, “Presented by President Mahmoud Abbas (Abu Mazen) President of the State of Palestine,” reporters said. Reporters traveling with the Palestinian delegation said that “it was not the first time” Abbas referred to the Palestinian territories as a Palestinian state since the U.N. General Assembly voted last month to grant Palestinians observer status. Abbas’ visit to the Vatican was part of a larger “tour of thanks,” reporters said, expressing gratitude to world leaders for their support of Palestine’s increased status at the United Nations. Last month, 138 member states voted to boost Palestine’s status from “entity” to “non-member state” — the same status held by the Holy See — in an implicit recognition of Palestinian sovereignty. Israel, the United States and Canada were among the nine states that voted against the motion. Forty-one countries abstained. After meeting the pope, Abbas met with Cardinal Tarcisio Bertone, Vatican secretary of state, and Archbishop Dominique Mamberti, Vatican secretary for relations with states. 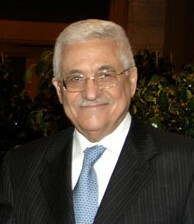 Tags: israel and palestine conflict, israeli palestinian conflict, mahmoud abbas, pope benedict. Filed under Israel and Palestine, israel and palestine articles, israel and palestine conflict, map of israel and palestine by Father Dave on Dec 21st, 2012. 1 Comment. WASHINGTON (AP) — In unusually rare and blunt criticism of its top Mideast ally, the Obama administration on Tuesday slammed Israel for continuing to announce new settlement construction on land claimed by the Palestinians. The State Department accused Israel of engaging in a “pattern of provocative action” that calls into question statements from Israeli leaders that they are committed to peace. Spokeswoman Victoria Nuland said settlement activity only puts the goal of peace “further at risk” and urged both Israel and the Palestinians to halt all provocations and take steps to revive long-stalled peace talks. The administration’s questioning of the Israeli leadership’s stated commitment to peace was unexpected, if not unprecedented, and appeared to take Washington’s longstanding opposition to settlements to a new level. However, it was not clear if the tough new words would be matched by actions. The comments came as Israel’s prime minister rejected international criticism of plans to build thousands more Jewish homes in east Jerusalem, saying construction would move forward. Meanwhile, diplomats said four European nations were moving ahead with plans to condemn Israel at the United Nations for settlement construction. Despite the strong rhetoric, Nuland said the United States did not believe pursuing condemnation of Israel at the U.N. Security Council would be “helpful” in resurrecting the stalled peace process. “We again call on Israel and the Palestinians to cease any kinds of counterproductive, unilateral actions and take concrete steps to return to direct negotiations,” she said. Israeli Prime Minister Benjamin Netanyahu has announced plans to build thousands of homes in settlements in the West Bank and east Jerusalem in response to the U.N. General Assembly’s decision last month to upgrade the Palestinians’ status to non-member observer state. One diplomat said the proposed European statement of condemnation would be a “political message” distributed to all the other Security Council members but that the Europeans are not asking the council to adopt a formal “presidential statement” or less important “press statement.” Each of those would require approval by all council members. In such cases, the United States previously has stepped in on the side of Israel on the recurrent issue of settlements. Tags: east jerusalem, israel and palestine conflict, settlement construction. Filed under Israel and Palestine, israel and palestine articles, israel and palestine conflict, map of israel and palestine by Father Dave on Dec 20th, 2012. Comment. Congress seeks to increase US funding for Israel’s military! Meanwhile, at the grassroots level, a large and growing number of voters and taxpayers are voicing disapproval of what Congress is asking. And we’re also disapproving of the fact that the US Congre$$ i$ in AIPAC’$ “pocket”. For confirmation, see: www.aipac.org…. WASHINGTON (JTA) — Congress wants to at least double the Obama administration’s funding request for anti-missile cooperation with Israel. Obama asked Congress for $99.9 million in 2013 for “Israel co-operative programs,” which include programs like the long-range Arrow anti-missile system and the short-range David’s Sling. The US House of Representatives version of the National Defense Authorization Act, passed earlier this year, recommended adding $168 million to that request, and the Senate recommended adding $100 million in its own National Defense Authorization Act, passed last week. A letter sent Wednesday by Sens. Kirsten Gillibrand (D-N.Y.) and James Inhofe (R-Okla.) to the top senators on the Armed Services Committee urges them to agree to the higher House increase in the bicameral conference talks that finalize the act. The bill separately authorizes new funding for Iron Dome, the short-range anti-missile system Israel used to deflect most rockets targeting populated areas that were launched from the Gaza Strip during its recent conflict with Hamas. The Senate recommends $420 million for Iron Dome, double the $210 million the Obama administration is expected to request, and the House recommended $680 million. Those amounts also will be reconciled in conference committee. Funding for cooperation on missile programs like Arrow and David’s Sling is not considered assistance because it benefits US as well as Israeli defense development. Iron Dome, however, is proprietary to Israel. All these monies would be in addition to the $3.1 billion Israel receives annually in defense assistance. Tags: AIPAC, israel and palestine conflict. Filed under Israel and Palestine, israel and palestine articles, israel and palestine conflict, map of israel and palestine by Father Dave on Dec 18th, 2012. Comment. The Jewish community is neither homogeneous nor monolithic. There is a growing number of Jews, in South Africa and around the world, who are organising to form alternative spaces and who unconditionally oppose Israeli policies and practices that shamefully privilege Jews over the indigenous Palestinian people. In this vein, we support the non-violent campaign of applying Boycott, Divestment and Sanctions (BDS) against Israel until it abides by international law and respects basic human rights [see www.bdsmovement.net…]. We are encouraged that our South African government is joining those countries that are taking a clear stance against Israel’s violations of international law and its acts of violence against the Palestinian people [ see this City Press newspaper article: tinyurl.com…]. We also welcome and support our Department of Trade and Industry’s initiative to prevent the false labelling of Israeli settlement products [see this Israeli mainstream Ha’aretz newspaper article: tinyurl.com…]. We hope that the ANC and the SA Government goes further and completely bans Israeli settlement products. Israeli settlements are in clear violation of international law and seriously undermine any chance of negotiations and a just peace. Mentioned in the above statement is Joe Slovo: the Rivonia Trialist, founding member of the Congress of Democrats, former SACP General-Secretary, Umkhonto we Sizwe (MK) Chief of Staff and leading member of the African National Congress. Slovo was an outspoken critic of Apartheid South Africa as well as a consistent critic of the Israeli regime – which he also considered an Apartheid state. In fact, Slovo publicly exposed and highlighted the shameful military collaborations during the 1980s between Israel and apartheid-era South Africa (see this UK Guardian newspaper article: tinyurl.com…). In an unfinished autobiography, Joe Slovo wrote: “Ironically enough, the horrors of the Holocaust became the rationalization [by Israeli supporters] for … acts of genocide against the indigenous people of Palestine. Those of us who, in the years that were to follow, raised our voices publicly against the violent apartheid of the Israeli state were vilified…”. Tags: israel and palestine, israel and palestine conflict, state of israel.